Holy Sh t! Did You Catch This Vietnamese Woman Wearing Jack's Necklace on This Is Us? 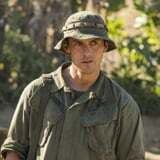 Get the Full StoryWarning: spoilers for the This Is Us episode "Vietnam" ahead.